Kolkata Knight Riders head into IPL 2019 with a strong squad that made it to the top 3 last year. For IPL 2019, they have made some interesting inclusions in their squad. KKR have bought Carlos Braithwaite for a high price of ₹5 crores mostly as a cover for Andre Russell, who has been prone to injury in the recent times. They bought as many as 4 pacers out of which 3 are overseas players. They bought only one overseas batsman in the form of Joe Denly which shows that they had confidence in the players that they had retained. All-rounders: One of the biggest strengths of Kolkata Knight Riders are the all-round skills of their players. Andre Russell is one of the best all-round cricketers playing currently and he is one of the cleanest strikers of the ball in addition to being an excellent fielder and more than a decent bowler. Besides him, they have Braithwaite, who has a special love for the Eden Gardens and Sunil Narine, whose batting has been a revelation since being promoted to open the innings. He doesn't have the same level of mystery in his bowling since the change of action but is still an excellent bowler to have in your ranks. Spinners: Apart from Sunil Narine, KKR have the services of Kuldeep Yadav who is amongst the best leg spinners playing today and Piyush Chawla, who has immense experience having plied his trade in the IPL for a while now, and he can play a supporting role to the lead spinners. Batsmen: With top order players in the form of Chris Lynn, Shubman Gill, and Robin Uthappa and a lethal finisher in the form of Dinesh Karthik, KKR has the ability to win matches on the basis of their batting alone. Pace Bowlers: One of the areas of weakness for KKR is in the department of fast bowlers. Even though they have signed Anrich Nortje and Lockie Ferguson who have a lot of potential, they still haven't been tested in the IPL. They have been dealt a huge blow since both Shivam Mavi and Kamlesh Nagarkoti have been ruled of the entire IPL which has further dented their fast bowling department. 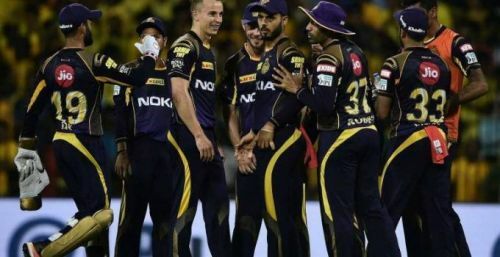 Lack of Depth in the Squad: KKR has a very good starting XI but one of the areas of the weakness is the backup of the players in the starting XI in case some of them get injured. As previously mentioned, the fast bowling department is inexperienced and they have only 3 quality spinners in their side. If one or 2 of them are struggling for form and injury, they don't have players in the squad who are of the same caliber. They also have just 21 players in the squad which is the least amongst all the teams. Going forward in the tournament, lack of depth can be a major cause of worry for them. Thus for KKR to be successful this IPL they would hope that all the players remain fit and in form. Chris Lynn, Sunil Narine, Shubman Gill, Robin Uthappa, Nitish Rana, Dinesh Karthik, Andre Russell, Piyush Chawla, Kuldeep Yadav, Prasidh Krishna, Lockie Ferguson/Anrich Nortje.